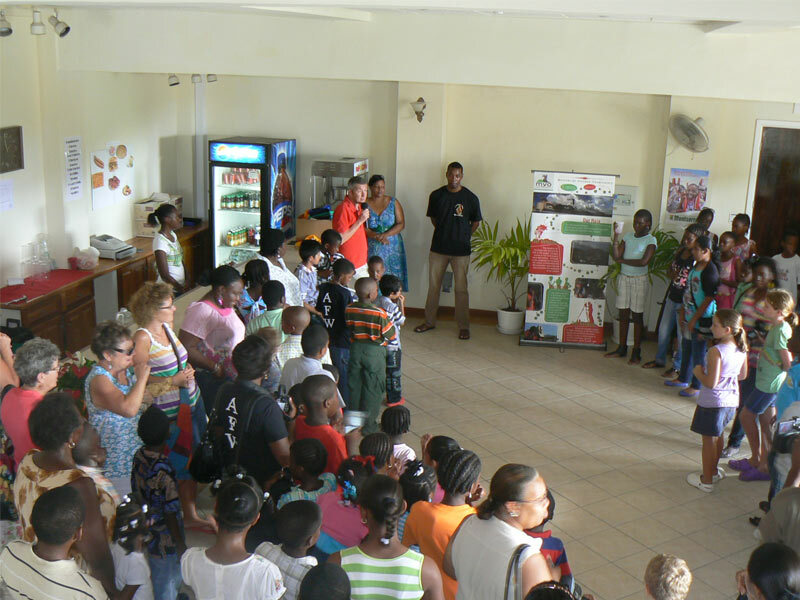 Building on the success of the first two festivals, the third annual Alliouagana Festival of the Word, will take place from Friday November 11 to Sunday November 13, 2011 at the Cultural Centre, Little Bay, Montserrat. The stellar line–up of artists includes, David Edgecombe, David Elliott, Kyoko Mori, Olive Senior and Ian Thomson. Internationally popular Soca star, young Montserratian Garvin ‘Scrappy’ Johnson accompanied by the Band 39.6, will join the authors to help the Festival audience explore this year’s theme – Words and Music: Bonds and Bridges. David Edgecombe who has played such a key role in the development of Caribbean drama will be bringing a production of Trevor Rhone’s Old Story Time. David Elliott will delight children and adults alike with readings and discussion of his award-winning books for young people. Kyoko Mori is willing to have one-on-one discussions about manuscripts while Ian Thompson plans to discuss life-writing. Olive Senior will draw from her extensive published body of work in poetry, fiction and non-fiction and her rich background in successfully mentoring writers to discuss the writing process. The first Festival took place in 2009 with support under the Tourism Challenge Fund. The second Festival in 2010 was supported by its patron, the President of the Caribbean Development Bank, Dr. Compton Bourne, shortly before the end of his tenure. The Steering Committee for the Festival owes a deep debt of gratitude to the Montserrat Tourist Board, Dr. Compton Bourne, the many individuals who sell the pages in the Souvenir Booklet and Business Guide, the numerous donors and advertisers who have all made it possible to sustain this literary festival for Montserrat. The fundraising effort continues and we invite you to become a donor or to consider taking out a page or more in the Souvenir Booklet and Business Guide.